African Americans have long been valued and treasured in the evangelical faith, having received from and contributed to the multiphased spectrum of evangelicalism in the United States. The gospel message still pervades and orders teachings promoted within the majority of Black church groups. A biblical frame of reference still informs and controls Black faith. Black evangelical churches still emphasize the importance of the biblically based faith that God has revealed himself in Jesus, that Jesus is Savior and Lord, and that his expected return will precede the final judgment of history by a just God. Almost since the beginning of the Black presence in this country, African Americans have responded to a biblically based gospel that they have tested and proved. They have shared spiritual experiences and passed on the evangelical heritage with concern, creativity, and gusto. The development of Black evangelical churches and denominations stands as historical proof. Historian Earle E. Cairns, in his 1973 book The Christian in Society, wrote that “Contemporary Evangelicals, who for a time ignored their responsibility as Christians in Society, are becoming increasingly aware that . . . they have a responsibility to put the principles of Christ into action . . . in the social order in which they live.”3 Although Cairns did not dwell at length on what had stimulated that awareness, we must remember that he wrote after the Civil Rights movement had prodded major changes on the social scene in America during the decades of the 1950s and 1960s. To be sure, some change in evangelical social views were stimulated by Carl F. H. Henry’s articles in Christianity Today magazine and in his strategic book Aspects of Christian Social Ethics; Sherwood Wirt also called attention to several clear issues needing evangelical response in his book The Social Conscience of the Evangelical.4 But it should not be overlooked that both Henry and Wirt, among others, wrote after much sensitizing about the flawed social scene in this nation had been initiated by socially active African American leaders. The “increasing awareness” among evangelicals about being more socially responsible as Christians was stimulated either directly or indirectly by the clear ethical demands that victimized Blacks had been calling attention to across the nation. Efforts to prod evangelicals to become more active in dealing with social and racial issues have had to be insistent because of an apparent blindness on the part of many evangelicals regarding inequities in the social order in America. Regarding efforts to increase social awareness where race is concerned, I am reminded of a happening during a world convention of evangelical leaders during the late 1960s. While attending the World Congress on Evangelism held in Berlin, Germany, in November 1966, those of us who were delegates heard many position papers that treated aspects of the Congress theme: “One Race, One Gospel, One Task.” Interestingly, and problematically, as we listened across ten days, we African American delegates discovered that no attention had been devoted in any position paper to the first part of the Congress theme, “One Race,” nor had any official paper about race been distributed for private reading. The Congress delegates had been drawn together from across the world, literally, and the vast assemblage—representing the largest ecumenical and evangelical gathering of the church since Pentecost, A.D. 33—reflected great diversity of backgrounds, nationalities, geographical locations, and color distinctions, and yet no major statement about the oneness of the human race had been voiced or written. + from Billy Graham in an interview with Christianity Today. Graham [1918–] is an American evangelist and spiritual advisor to several presidents, known for his revival rallies. Committed to integration in his crusades, he invited Martin Luther King Jr. to preach with him and bailed King out of jail when he was arrested in demonstrations. A member of Fuller’s board from 1958 to 1965, Graham helped provide guidance to the seminary during a formative season. He has remained a strong ally since. It is important to mention a few of the African American evangelicals who have helped to stimulate social action and promote better race relations within American evangelicalism. 3. 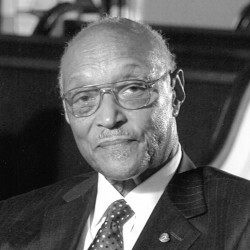 William H. Bentley, a Chicago-based minister-theologian (and Fuller Seminary graduate), gave steady and strategic leadership to the National Black Evangelical Association (NBEA, founded in Los Angeles, California, in 1963) and actively promoted a distinctly biblical, theological, and social framework of study within which the Black perspective could be adequately reflected. During Bentley’s presidency of the NBEA, a prominent concern was to understand and explain Blackness as a God-given distinctive out of which African Americans can serve with a proper self-understanding and relate with dignity to all others. His thematic approach as a leader was based on two nonnegotiable ends: “Fellowship and Ministry—these are the poles around which the Association revolves.”10 Bentley’s theological leadership among Black evangelicals has been recognized within the wider spectrum of American evangelicalism; he wrote the chapter on “Black Believers in the Black Community” for the book The Evangelicals, which David F. Wells and John D. Woodbridge edited.11 That chapter explained Black evangelicalism as a very distinct phenomenon originally rooted in the theology and cultus of the Bible school movement, which had educated most of the more prominent African American evangelicals. The chapter explained why Blacks had forthrightly acted in the social arena, and why they found it necessary to redefine the issues for which White definitions and approaches were inadequate—the development of a Black theology being a case in point—and the active involvement of Black evangelical pastor-scholars in shaping Black caucuses to help effect change in denominational systems where African Americans have been in the minority position. 5. William E. Pannell has been an evangelist-interpreter-activist and seminary professor within American evangelicalism. In his provocative book My Friend, the Enemy, Pannell vividly set forth his personal story of how the Civil Rights movement helped him to understand how the inadequate anthropology of the White church group culture in which he was reared had obscured the value and meaning of his Black heritage.13 Educated for ministry in the Bible college movement, Pannell evangelized widely and effectively, then partnered with Tom Skinner Ministries. Following his service years with InterVarsity Christian Fellowship, Pannell became professor of evangelism and director of Black church studies at Fuller Theological Seminary, and later professor of preaching and dean of the chapel before his retirement. This treatment has been limited. So is my admittedly brief list of African American evangelicals who have been prominent within American evangelicalism. But given the large number of churches African Americans have developed, the continuing influence of the Black music tradition within the evangelical music scene, the impact on evangelical pulpits of the Black preaching tradition, shared insights from Black urban churches about ministering in the city, and the prodding work of African Americans to help White evangelicals become socially responsible to combat racism, it should be clear that African Americans have indeed embraced and advanced evangelicalism. 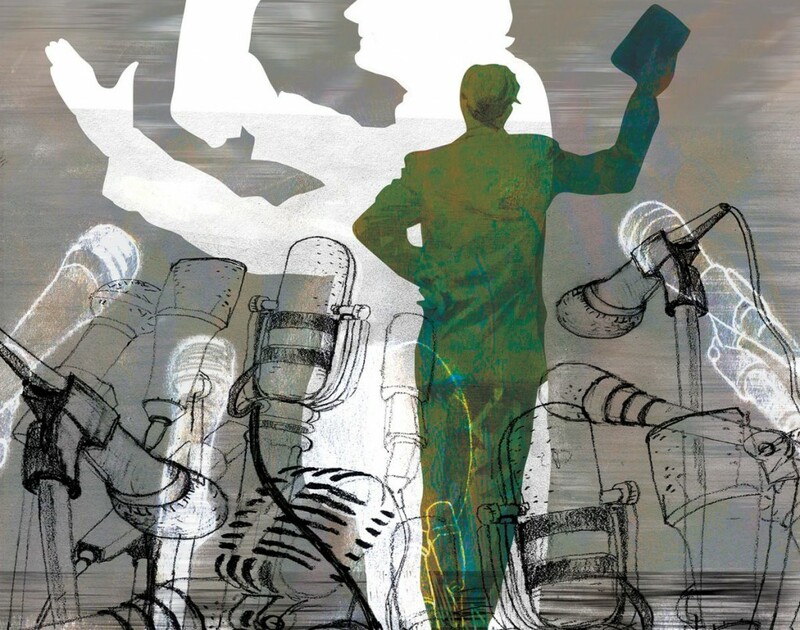 The relationship of African Americans with American evangelicalism, while steady, has never been sentimental; the Black critique has always been geared to correct so as to heighten an evangelical influence in American life. In the mid-1970s, evangelical Christianity was growing faster in America than any other “brand” or religious movement (numbering more than 40 million by 1977).14 Despite that growth, however, evangelicalism was not influencing the social level of American life to any measurable extent. The need to do so remains, and African Americans remain poised to assist in increasing that influence. 1. Albert J. Raboteau, “The Black Experience in American Evangelicalism: The Meaning of Slavery,” in The Evangelical Tradition in America, ed. Leonard I. Sweet (Macon, GA: Mercer University Press, 1984), 183. 2. See Gayraud S. Wilmore, Black Religion and Black Radicalism (Garden City, NY: Anchor Press, Doubleday, 1973), esp. chap. 4, 103–35. 3. Earle E. Cairns, The Christian in Society (Chicago: Moody Press, 1973), 62. 4. Carl F. H. Henry, Aspects of Christian Social Ethics (Grand Rapids: Eerdmans, 1964); Sherwood Wirt, The Social Conscience of the Evangelical (New York: Harper & Row, 1968). 5. For two personal reports about this happening during the Congress, see Bob Harrison, with Jim Montgomery, When God Was Black (Grand Rapids: Zondervan, 1971), 145–46; James Earl Massey, Concerning Christian Unity: A Study of the Relational Imperative of Agape Love (Anderson, IN: Warner Press, 1979), 121–26. 6. The full text of the Congress Statement is available in One Race, One Gospel, One Task, ed. Carl F. H. Henry and Stanley Mooneyham (Minneapolis: World Wide Publications, 1967), 1:5–7. 7. Howard O. Jones, White Questions to a Black Christian (Grand Rapids: Zondervan, 1975); Howard O. Jones and Edward Gilbreath, Gospel Trailblazer: An African American Preacher’s Historic Journey across Racial Lines (Chicago: Moody Publishers, 2003). See also Grant Segall, “Rev. Howard Jones, 89, Billy Graham Associate,” The Cleveland Plain Dealer, November 20, 2010, obituary notice page. 8. Tom Skinner, Black and Free (Grand Rapids: Zondervan, 1968). 9. See Edward Gilbreath, “A Prophet Out of Harlem,” Christianity Today, September 16, 1996. 10. See William H. Bentley, National Black Evangelical Association Reflections on the Evolution of a Concept of Ministry (Chicago: self-published, 1979), 10. See also William H. Bentley, National Black Evangelical Association: Bellwether of a Movement, 1963–1988 (Chicago: National Black Evangelical Association, 1988); “National Black Evangelical Association,” in Encyclopedia of African American Culture and History, ed. Jack Salzman, David Lionel Smith, and Cornel West (New York: Macmillan, 1996); “The Rise of African-American Evangelicalism in American Culture,” in Perspectives on American Religion and Culture, ed. Peter Williams (Oxford: Blackwell, 1999). 11. The Evangelicals, ed. David F. Wells and John D. Woodbridge (Nashville: Abingdon, 1975). 12. John Perkins, Let Justice Roll Down (Ventura, CA: Regal, 1976), and With Justice for All (Ventura, CA: Regal, 1982). 13. William Pannell, My Friend, the Enemy (Waco, TX: Word Books, 1968). 14. See Time, December 26, 1977, feature story, 52–58. For a recent study treating strengths and weaknesses within evangelicalism and some of the issues being contested within evangelicalism’s separate camps, see Four Views on the Spectrum of Evangelicalism, by Kevin T. Bauder, R. Albert Mohler Jr., John G. Stackhouse Jr., and Roger E. Olson (Grand Rapids: Zondervan, 2011). Over his lifetime of ministry, James Earl Massey has served numerous roles, including pastor, theological educator, scholar, and musician.